If you are being investigated by the Division of Child Protection and Permanency (“DCP&P”), formerly known as DYFS, due to allegations of sexual abuse of a child, you could also be charged by the County Prosecutor for the crime of endangering the welfare of a child. In fact, if you are accused of sexual offense related to a child victim, you may be charged with first, second, or third degree endangering the welfare of a child, depending on the circumstances. Whether or not you have already been charged with a crime, if DCP&P is investigating you, criminal charges may be in the works and you should contact the experienced child abuse, neglect, and endangerment defense attorneys at the Tormey Law Firm to discuss your case. Our lawyers represent DCP&P clients throughout Morris County including in Mount Olive, Denville, Dover, Madison, and Kinnelon. Contact our offices now for immediate assistance at (908)-356-6900. The initial consultation is always provided free of charge. The New Jersey child endangerment laws set forth that any person having a legal duty for the care of a child or who has assumed responsibility for the care of a child who engages in sexual conduct which would impair or debauch the morals of the child is guilty of a crime of the second degree and that any other person who engages in conduct or who causes harm as described in this paragraph to a child is guilty of a crime of the third degree. N.J.S.A. 2C:24-4(a)(1). The child endangerment statutes further set for that a person commits a crime of the first degree if he causes or permits a child to engage in a prohibited sexual act or in the simulation of such an act if the person knows, has reason to know or intents that the prohibited act may be photographed, filmed, reproduced, or reconstructed in any manner, including on the internet, or may be part of an exhibition or performance. N.J.S.A. 2C:24-4(b)(3). The child endangerment laws further establish that a person commits a crime of the second degree if he photographs or films a child in a prohibited sexual act or in the simulation of such an act or who uses any device, including a computer, to reproduce or reconstruct the image of a child in a prohibited sexual act or in the simulation of such an act. N.J.S.A. 2C:24-4(b)(4). In addition, the child endangerment statutes further set forth that a person commits a crime of the second degree if, by any means, including but not limited to the internet, he knowingly distributes an item depicting the sexual exploitation of abuse of a child, knowingly possesses an item depicting the sexual exploitation or abuse of a child with the intent to distribute that item, or knowingly stores or maintains an item depicting the sexual exploitation or abuse of a child using a file-sharing program which is designated as available for searching by or copying to one or more other computers. N.J.S.A. 2C:24-4(b)(5)(a)(i) to (iii). Moreover, a person commits a crime of the third degree if he knowingly possess, knowingly views, or knowingly has under his control, through any means, including the internet, an item depicting the sexual exploitation or abuse of a child. N.J.S.A. 2C:24-4(b)(5)(b). No matter the degree of child endangerment charges, such allegations are serious and carry severe penalties. If you are being investigated by the Division, it is important to contact an attorney who is familiar with DCP&P investigations and criminal investigations as well. 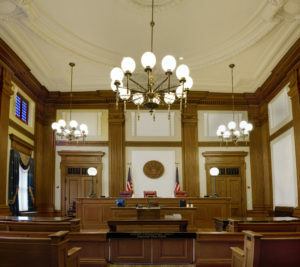 The experienced DCP&P defense attorneys at the Tormey Law Firm have handled both DYFS and criminal cases and they are ready to help you today at (908)-356-6900.